Ben is an environmental advocate, writer, and speaker. From an early age, he has been incredibly passionate for the ocean. In high school, Ben founded his school's environmental club and implemented a student-led recycling program, held large-scale annual beach cleanups, and advocated for sustainability in the local community's government. Later, he was the contest winner for the inaugural Sea Youth Rise Up Campaign's delegation; where, among other things, he played a part in the founding of the Northeast Canyons and Seamounts National Monument, the first US Marine Protected Area in the Atlantic. Aside from ThinkOcean, he is the National Communications Coordinator for the Youth Ocean Conservation Summit and a Coordinator for Sea Youth Rise Up. In 2018, he was recognized as a Global 30 Under 30 for Environmental Education. He has served as a speaker at the NYC YOCS, LI YOCS, the Empowered Youth Environmentalists Summit (EYES), The North American Association for Environmental Education (NAAEE) International Conference, the World Ocean Festival, and a United Nations Activate Talk. Ben graduated valedictorian of his high school class and is a current sophomore at the University of Pennsylvania, double majoring in International Relations and Mathematical Economics while studying six different languages. Whether SCUBA diving, hiking, camping, free diving, or something else, he spends his free time in the outdoors. Ruby Rorty has always found inspiration in the natural environment, from the rocky coast of her hometown, Santa Cruz, California to the shores of Lake Michigan, where she attends school at the University of Chicago. She has been in the youth conservation movement since 2014, when she founded the Santa Cruz Environmental Alliance, a local environmental organization that seeks to empower young people as ocean advocates. Through SCEA, she coordinated the #nomoremermaidtears social media campaign, implemented the Trashtastic! curriculum, a three-part lesson plan designed to educate elementary school students about plastic pollution, and collaborated with other local groups to host beach clean-ups and other events. Although local work is at the core of Ruby's advocacy, she has also joined the international conservation community as a youth leader for EarthEcho International, a board member for Climate Sports Student Summits with the Green Sports Alliance, and a public speaker on youth, justice, and the environment at events around the country. Most recently, she has served as a youth leader for delegations like SeaYouthRiseUp and eighteenx18 and since moving from California to attend college, has gotten involved with on-campus research regarding energy policy, sustainable decision-making, and more. Oussema got his bachelor degree in Fisheries Engineering and Environment from the National Agronomic Institute in Tunisia. As an active member within his University before graduation, he was the president of a club called “Terre d’Aventure ” for two years. He took arranged hikes and motivated his team members to admire landscapes and preserve the environment. Further, he was a member of the association of “Notre Grand Bleu” which has a major goal to protect marine protected areas and which also is considered to be the first of its kind in the Mediterranean. He was involved in Mediterranean monitoring projects from the Island of Kuriat with them. His professional experiences also contributed to boosting his knowledge and love for the environment. He has always been passionate about scuba diving and driving small boats. He is excited to be working with ThinkOcean to interact with different people, gain more knowledge about other’s perspectives, and make serious contributions to the protection of the environment. Giulia Belotti is a freshman at University of Trento, Italy, where she studies international relations. She has been traveling since 9th grade, therefore she has connections with people from all over the world. She has always been passionate about the environment. After spending a year in the United States, this passion manifested into a desire to create concrete action towards a better world. She enjoys discussing ethics with people and making them aware of concepts such as climate change. She is an ambassador for “YouAbroad”, an Italian agency that sends students abroad, because she believes in the power of young, open-minded people. When people from different cultures meet and work together to reach the same goal, great things can be done. She is a daydreamer and strongly believes that new generations can save the planet and create a brighter future. In her free time, Giulia loves reading, writing, and jogging in nature. Forbi Perise is a environmental science student at the University of Buea, Cameroon. He studied mainly science subjects in high school and has always loved being outdoors. He is passionate about the environment and community development while volunteering in a number of community based organization pushing for the realization of the 2030 agenda of the sustainable development goals. His passion for the environment started out with a love of the natural world and evolved in an elaborate network of beliefs about the importance of environmental protection and of reversing some of the harm that we humans had done to the Earth. Perise has led several community projects, and considers himself to be a local activist fighting plastic pollution. He is popularly known as the “plastic man" due to his efforts to raise awareness on the issue of plastic pollution. He acknowledges that youth can bring remarkable change to their community if they are given opportunity and can work together. It is his aim to share his passion with others in his community and country as a whole. In his free time, Perise loves cooking, farming and reading . Natasha Lopez is a sophomore studying Economics at Ashoka University, India. Her drive to save the planet’s oceans comes from her exposure to the disastrous consequences poor public policy and lack of an “environmental conscience” is having on her home-state of Goa. A firm believer in the power of youth, she has been an active participant in various environmental causes from a young age. Projects she has worked on include closing down illegally run zoos, climate draw-down accelerators, and value-creation around agricultural by-products to reduce stubble burning- a major contributor of air pollution in Northern India. As National Coordinator of India she is looking to build, motivate, and sustain a network of environmentalists who are able inspire other to commit to the cause of saving our oceans. Wenchin Zhang is a junior studying international relations at Fudan University in Shanghai. She is a member of World Oceans Day Youth Advisory Council (YAC). There, she works with other council members from each continent to promote environmental education and conservation practice for World Oceans Day and beyond. She also works with local organizations on environmental education in primary schools, river monitoring, beach cleanup, and much more. Her experience in YAC makes her believe that when youth from different regions work together and share their knowledge, amazing things can be achieved. Wenchin is enthusiastic to work with the ThinkOcean team for a more sustainable future. She is a big lover for traveling, music, and football. Yimo Deng is a sophomore studying culture industry management at Tongji University. She has been engaged with environmental protection for a long time, especially when it pertains to marine animals. When she was a child, she refused to go to the aquarium to see marine animals forced to perform. She strongly believes that protecting the ocean starts with the individual. She is excited to work with friends from all over the world to make a contribution to a better world through ThinkOcean. Yimo also wants to be closer to the ocean and increase understanding of marine conservation. In her free time, she enjoys singing, watching movies, and learning random facts. Maria Goikhberg is from Toronto, Canada, currently living in London, UK. She has always loved spending time outdoors, going on camping trips as well as pursuing interests in diving. After receiving the PSAI Open Water Diver certificate, she wanted to do more. This led her to become more actively involved in her school’s environmental club, participating in forest cleanups and tree planting. She spread the “These Come From Trees” campaign to reduce use of paper towels in the school’s bathrooms and organized assemblies to raise students' awareness of pollution and carbon footprints. Maria studies English Literature and Modern History at the University of St Andrews in Scotland and is thrilled to be doing more for the environment through ThinkOcean. In her spare time, Maria enjoys portrait photography, writing screenplays for short films, and reading. Adam Wolpert was born in Westford Massachusetts and is a current sophomore at Queens's University located in Kingston, Ontario where he is pursuing a degree in Engineering Chemistry. Adam grew up surrounded by nature with hiking, skiing and SCUBA diving. These have fostered his love for the outdoors and his passion for the environment. His appreciation for the ocean pushed him to get a PADI certification in coral reef conservation. Apart from ThinkOcean, Adam is on his university's fuel cell team to gain hands on experience in the field of green energy. In his free time, Adam dabbles in debate, intramural sports, and community service through his school’s Engineering Society. Allen Liu is a freshman at Princeton University studying Operations Research and Financial Engineering. He is the Coalition Director and incoming co-Director of the New Jersey Student Climate Advocates, a group of college and high school students working with the New Jersey legislature and environmental, business, labor, and environmental justice stakeholders in NJ to pass the nation's first statewide carbon price. Allen is passionate about advocating for environmental legislation and engaging students in ocean issues. In his free time, he enjoys playing violin in orchestra and chamber groups and advocating for political causes. Vyshnavi Kosigishroff is an environmental activist from Newark, Delaware. She has been pursuing her environmental efforts for quite a while. In her first year of high school, she created her school’s first Environmental Club. As president of this club, she created a comprehensive school-wide recycling program to fill the vacuum of sustainable disposal. Since then, she has pursued a wide array of green legislation generally focused on promoting climate change-fighting measures. In its inaugural year, she created and led her state’s March for Science, a satellite march of the international March for Science, a protest advocating for evidence-based policy. This march was attended by Senate Environmental Committee Ranking Member Senator Tom Carper, among other politicians, activists, entrepreneurs, and teachers. Through her leadership, she used the March to mobilize her community against the travesty of climate change. She is currently working on amending her state’s constitution to include a Green Amendment (a legislative guarantee of the right to clean air, clean water, and a sustainable environment) and on reducing plastic reliance through grassroots connections and legislation. Apart from organizing clean-ups and protests, she enjoys Model UN, writing music, and listening to podcasts. She is a current freshman at the University of Pennsylvania. Maya Siegel is a freshman studying business finance, environmental sustainability, and environmental policy. Recently, she inspired a local business to become a retailer for 4Ocean and is working to get others do the same. Maya is ecstatic to do more to educate and protect the oceans through ThinkOcean. Her favourite pastimes include swimming, line dancing, and spending time on the water. Tessa Brant is majoring in Biology and minoring in Environmental Studies. Much of her interest lies in the zoological field and teaching/inspiring others to care about the natural world. She currently volunteers as a raptor husbandry specialist at the Audubon Society’s Bird of Prey Center in Maitland, FL. She also has been a part of the education departments at the Marine Science Center in Ponce Inlet, FL and SeaWorld Orlando as an educational guide and a camp counselor, respectively. In 2017 and 2018 she served as a member of the SeaWorld and Busch Gardens Youth Advisory Council, where she provided strategic input to the company on better ways to connect a younger generation to their conservation message. Tessa recently also became involved with the conservation organization OCEARCH, and she currently works with their social media team as the voice of Hal, a tagged great white shark, on twitter. Largely as a result of these experiences, Tessa believes strongly in the power of youth and their ability to be leaders, especially in the field of environmental activism. Outside of her work in conservation, Tessa is also involved in the raising of service dogs through Canine Companions for Independence and enjoys reading and spending time outdoors. Neeharika Hemrajani is an avid supporter of a variety of environmental efforts from London, England. Such passions have been rooted in her aspirations to pursue studies in History and Politics at an undergraduate level and further work in public service. From a young age, Neeharika has improved efforts in her local community to raise awareness for common environmental threats such as pollution. Such initiative became integral during her terms serving on the Student Council as Deputy Chair with the introduction of a new recycling system at school and efforts to move away from excessive paper waste by pioneering the introduction of technology in classrooms (with the Digital Leadership Programme). In 2015, this drove her and her team to present at the Education Reform Summit in Westminster to persuade authoritative leaders across England to recognise the environmental value of digital learning. Having attended Southbank International School as the Milton Toubkin Scholar of 2016, she has just completed the IB diploma programme with the Class of 2018. Her breadth of subject choices included Environmental Systems and Societies at Standard Level which allowed her to deepen her understanding and appreciation for environmental conservation. She hopes to continue broadening her efforts at a larger scale with ThinkOcean. In her spare time, Neeharika enjoys reading, watching movies and rowing. Ellie is a sophomore in Stamps School of Art and Design at the University of Michigan. There she is involved in Epsilon Eta, a professional environmental fraternity, where she is VP of communications. Originally from West Palm Beach, Florida, her environmental passion formed as she saw how the polluting of the ocean and draining of the Everglades was negatively impacting her community. Ellie hopes to explore how she can help inform and inspire people to care more about the earth through her art and experiences. Her two minors are anthropology and the history of art, and she hopes to carry what she has learned into her making process. How we live in the environment and how it changes us, particularly how this can be seen through our visual language of art. Outside of artistic and environmental action, Ellie loves a good cup of tea, collecting rocks from her travels, and finding obscure items in thrift stores! Francesca is a freshman The George Washington University studying International Affairs, concentrating in International Environmental Studies and minoring in Journalism. As a kid, Francesca always had an appreciation of the outdoors - in fact it’s on her bucket list to visit all the National Parks in the U.S. She has a passion for climate action, the UN SDGs, and would love to make an environmental documentary one day. In high school, she was President of her school’s Free the Children club, which raised $10,000 a year for sustainable development initiatives for communities in Nicaragua and Ecuador and she led service trips to these countries. She also founded the “Global Citizen Initiative” in her high school, which she was able to build her school’s first hydroponic tower garden and spread climate change awareness on campus. Francesca is also a recipient of the Education First 2017 Global Citizen Scholarship, in which she was able to travel to Italy to learn about food sustainability and even helped to design an award-winning prototype that was displayed at Stockholm’s Nobel Museum. In her free time, Francesca loves photography, traveling, singing, and strumming her ukulele. She is absolutely ecstatic to be on the ThinkOcean team as Social Media Coordinator! 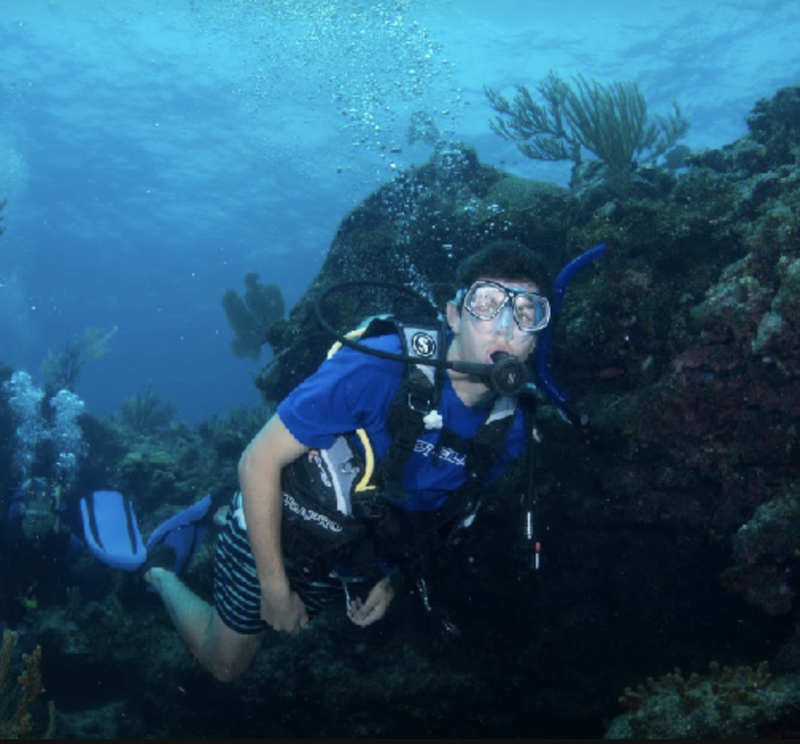 Joshua is a senior at Florida International University studying Marine biology. He works in the tropical fish ecology lab where he conducts research both in the lab and in the field. Furthermore, he engages in numerous research and restoration projects through the FIU Center for Coastal Ocean Research program to better understand and restore surrounding ecosystems. Joshua was born and raised in Miami, FL where he experienced the beauty and magnificence of two national parks and a marine sanctuary known as Biscayne National Park, Everglades National Park, and the Florida Keys National Marine Sanctuary. The amazing spectacle shown by nature in these areas has motivated him to uptake a passion for photography. Photography is a way to capture a moment that may never be seen again; allowing for different people to admire that moment and pass it on for future generations to see. He hopes to be able to spread beauty and knowledge through his imagery to bring awareness towards the importance of nature and the preservation thereof to people around the world. Ella Daniels, also known as Brie, is the Content Collator for ThinkOcean; she’s also a founding member. Since its inception, Brie has been invested in ThinkOcean because she was not previously passionately environmentally-minded, despite doing little things like using a reusable water bottle. ThinkOcean’s team inspired her to do more than the bare minimum --now, she’s being considerate about her carbon footprint and wants to help others to do the same. Brie firmly believes that everyone can do better in order to help the environment thrive. 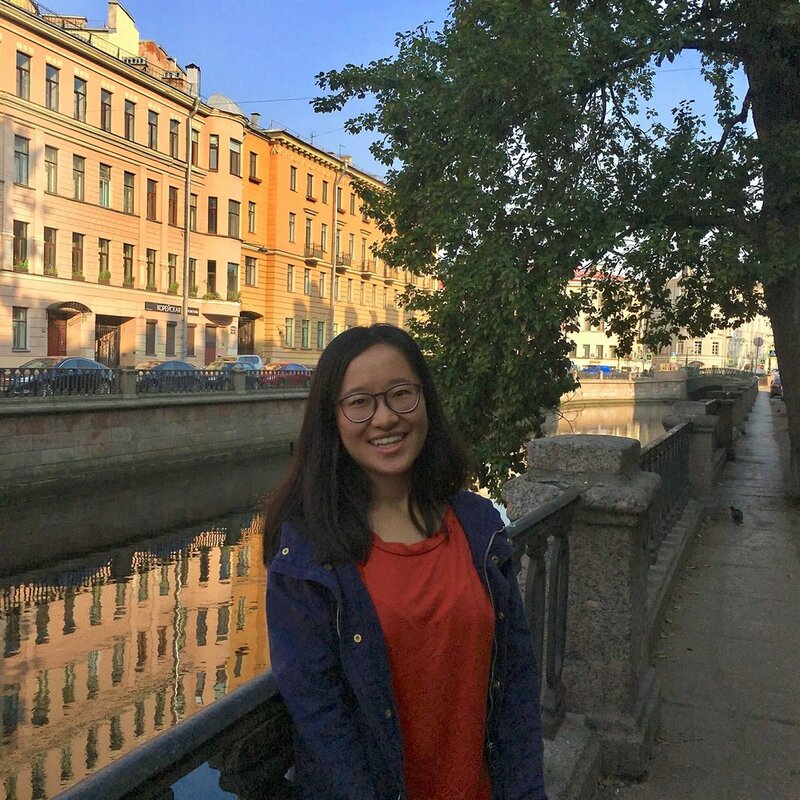 Brie is currently a sophomore at the University of Michigan, Ann Arbor studying International Relations with a focus on Political and Economic Development and Asian Studies with a focus on China. She is also on the on the informational management team in UMich’s chapter Dance Marathon, and serves as the Vice President of Students of Color in the Arts. In her free time, she enjoys spending time with her friends, dancing, and trying new things (especially food! ).